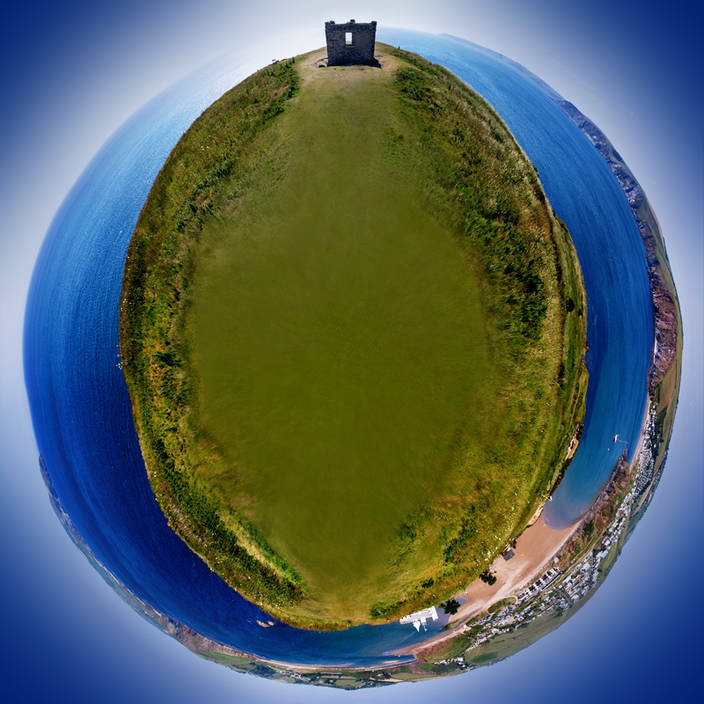 This planet started life as 12 wide angle shots taken from a point at the top of Burgh Island. I stitched them together in panorama studio. I then loaded the panorama into Photoshop and rotated it 180 degrees. Next I used image size to squeeze it into a square. You will need to un-tick Constrain Proportions to be able to do this. At this point it looks a little odd but its about to get interesting. Select Menu Filter>Distort>Polar Coordinates>Rectangular to Polar. Voila! a world is created. It sounds a bit long winded but it takes a lot less than 6 days. Beautiful. Where can I find a tutorial about how can I make one? To start with Zambrean you need a 360 degree panorama. You make it by stitching together a set of pictures taken around a single point. You will need some software to do this. I use Panorama Studio but you may find you have some free software with your camera which can do this. Once you have the panorama resize it to a square. Rotate 180 degrees. Then in Photoshop go to Filter>Distort>Polar Coordinates and select Rectangular to Polar. You will need to clean the very centre of the image a bit as there usually a bit of distortion. I hope this helps. I first found out about this technique here. I love the colours in that picture. Thank you. I must admit to adding a bit of extra blue to the sky.